Born in Mandeville, Jamaica on November 3, 1970, Ted Alardo Runcie spent his early years between his grandparents’ home in Aberdeen, St. Elizabeth and his parents’ home in Kingston. His first musical memories were of people singing at a wake when he was less than a year old. His early musical influences included Jamaican folk songs, ska, and early reggae as well as the organ music and hymns that he heard at the Moravian church in Aberdeen where his maternal grandmother was lead vocalist and accordionist. During the turmoil of the 1970s, when he was just seven years old, the Runcie family moved to Toronto, Canada and Ted became also a Canadian citizen. A few years later Runcie began his official musical education, studying the tuba before taking on the violin, voice and later piano. Eventually Ted performed in the city-wide youth orchestra and choir. In 1985 his musical travels began when he journeyed to Wales to compete in the National Eisteddfod with the Scarborough Schools’ Youth Choir where they took 3rd place. Runcie was then honoured by being one of a handful of students chosen by the Toronto School Board to attend ‘The Great Gathering’ at Roy Thomson Hall. This was the era in which Runcie also made his informal debut as a conductor, conducting teachers and fellow students at the Scarborough School’s Music Camps. Ted Runcie's first foray into composition came in his early teens when he began to hear contrapuntal musical lines in his head. He notes, "It started happening every day, sometimes all day. The music came so fast and in such volume that all I could do was to sing along with it as I worked or walked." Over the following months he often sang or played the unfamiliar music to his teachers, leading them all to realize that these were his original musical ideas. Through the mid-1980s, he wrote down these ideas and played them with fellow high school students. During high school and later in university, Runcie and his fellow students played and recorded a number of his small chamber and solo works including solo instrumental pieces such as his "Piano Waltzes", "Bailes" for solo piano, "Jabbering Crow" for solo violin and others. Runcie's 1996 composition, "Two Maroon Folksongs of Jamaica" premiered in October of the same year by Jamaican clarinettist Michael Maxwell and Chinese pianist Sooka Wang. The inspiration for this piece was his discovery of a master's thesis on Jamaican folk music by a fellow Jamaican, Stephanie Williams. In late fall and early winter of 1996, Brazilian concert pianist, Ricardo Peres premiered two movements of Runcie's piano suite "Reflections" in his Canadian tour. The recordings were later broadcasted nationwide on CBC radio. 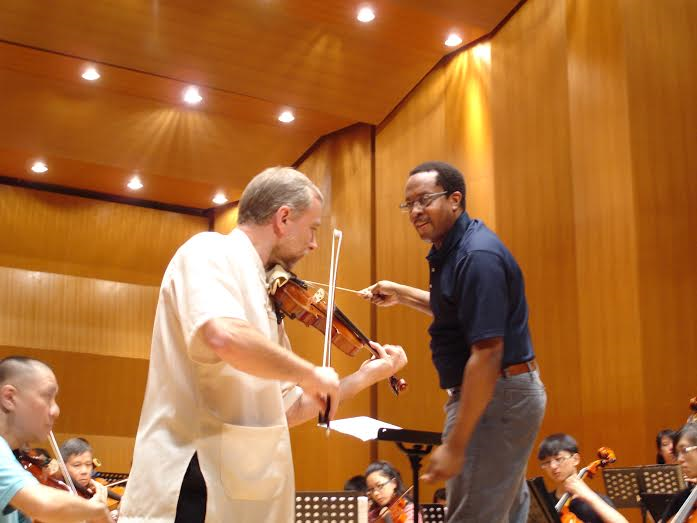 On February 6, 2010 Runcie’s “String Quartet no.1” (1999) was premiered in Taiwan in the Taipei Philharmonic Recital Hall by a quartet composed of violinists Vladimir Klochko and Volkmar Holz, violist Lee Shang-Yu and Lee Tsaolun on cello. On May 4, 2011 at the University of Oklahoma, Andrew Marshall conducted the premiere of Runcie's work "December 1919", a setting of an eponymous poem by world-renowned Jamaican poet Claude MacKay. The first movement of Ted Runcie's three-movement work "Sinfonietta: Xamayaca 1494" was performed on November 7, 2015 by the Philharmonic Orchestra of Jamaica (POJ), conducted by Franklin Haliburton. Over the years Runcie has composed a small but varied body of work including chamber music, solo instrumental works, choral works, art songs and symphonic works. He plans to write a series of operas on Caribbean subjects as well as to continue writing his series of ‘sinfoniettas’ based on Jamaican history Among his fans and facebook followers is American President Barack Obama. Ted Runcie studied at McGill University: conducting with Timothy Vernon; composition with John Rea and Denys Bouliane; and voice with Metropolitan Opera Tenor Bill Neill. He also took private lessons with French-born, German-American composer Christian Wolff and conducting studies with Jorma Panula of the Sibelius Academy in Finland. In 2009 Runcie was Musical Director for the groundbreaking Taiwan premiere of the Broadway Review “Smokey Joe's Cafe” directed by American director Brook Hall. This production is credited with the transforming the landscape for musicals in Taiwan. In 2010 Runcie conducted the Taiwan premiere of Cole Porter's “Anything Goes” playing to sold out houses in Taiwan's National Concert Hall. Runcie also conducted the musical again in 2011. Runcie has conducted orchestras, choirs, and other ensembles in the United States, Taiwan, and Europe. 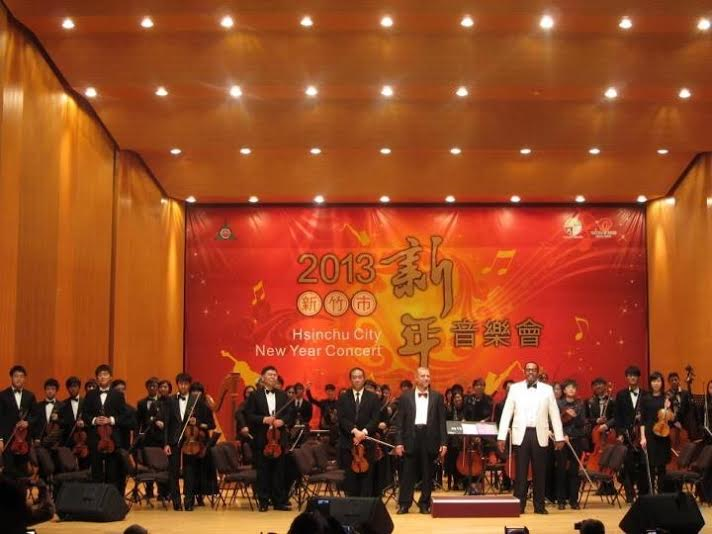 In 2011, Runcie was appointed Music Director of the Hsinchu Philharmonic Orchestra and the Hsinchu Philharmonic Youth Orchestra in Taiwan. He teaches at Yuteh and Chang Gung University in Taiwan. Runcie lives in Taiwan with his wife and two children.